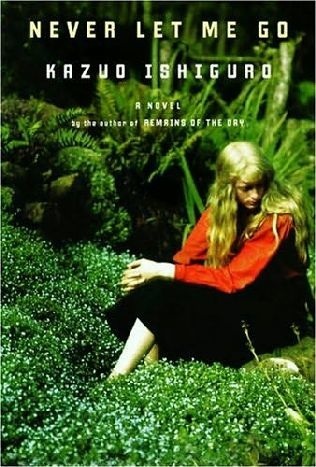 Retro Review: Kazuo Ishiguro's "Never Let Me Go"
Home » ebooks » retro review » Retro Review: Kazuo Ishiguro's "Never Let Me Go"
I know, I know, I'm way behind the times on this one. Truth be told, I'm more on the pulse now I'm an active member of the literary world, especially the online literary world. Never Let Me Go is set in a dystopian world, where people are cloned and bred with the sole purpose of giving up their organs for 'real' people who are ill or injured. Narrated by Cathy, the plot centres on her life with her friends Ruth and Tommy; growing up at Hailsham boarding school, moving on to The Cottages, and making their donations. This was a disappointing reading experience for me. Not because the book is bad, but because I had already seen the film version. Ordinarily, I've found that watching a film adaptation of a book before reading it can actually enhance the reading experience, given that a book often offers far more depth than a film. However, in this case, due to the nature of the plot, the fact that I knew what happened really detracted from the overall reading experience, which is a great shame, as the novel is actually very good. This is the first novel I've read by Kazuo Ishiguro, and I would definitely like to read more. Cathy's voice is very distinct and believable, and this is one of the strengths of the story. Most importantly, this is a novel of important moral issues; what does life mean? How far should science go? Should we create life purely to save and extend life? It raises questions that make the reader think, but Ishiguro avoids turning it into an 'issues' book, as he approaches this world from the viewpoint of one of these purpose made human beings. This novel is intriguing, original, and demonstrates what a truly creative author is capable of.